The classic stone Cape Cod house is mid-block and stands high off the street. It allows for a unique stone wall lined driveway to a built in 2 car garage leading thru to a walk in basement with high ceilings. The entry layout creates opportunities for home office, shop or other creative uses and is super convenient for storage of recreational equipment. In entering the house from the stone paths you pass through the covered front porch positioned to overlook the front yard above the street. Once inside the shine from the recently finished wood floors glow from the light coming through the large front window. The living room with its fireplace can be seen through the arches both from the kitchen and the eat in area. The kitchen has a large island with granite counters matching the L shaped counter area which has a great view from the window over the sink. The wood floors continue into the great room with a second stone fireplace backing to the one in the living room. The great room has a vaulted ceiling with exposed beams and reflective lighting for dramatic effect. There is a door to the outside from the great room leading to a 25 ft. x 17 ft. enclosed porch, where fire wood is easily stored and convenient to retrieve on cold winter nights. From the rear porch the open back yard is before you and activities can be seen from the blue stone bench like the ax throwing area which is near the deer fence protected garden area.The two first floor bedrooms and full bath are just down the hall from the living spaces. There are an abundance of closets, and ceramic tile bath room is easily accessed from the bedrooms and the main living areas alike. The second floor has 2 additional bedrooms. Both of the bed rooms are every spacious compared to similar capes in the area. They each have dormered areas and the eves are arranged for extra storage besides having generous closets in each. The second full bathroom at the top of the stairs is also larger than the homes of this era. Recently remodeled it is bright with a large walk in shower and plenty of room for a makeup/dressing area.If you are looking for a solid home with spacious rooms and recreational yard space, you will need to come preview this home to get that sense of peace and quiet. 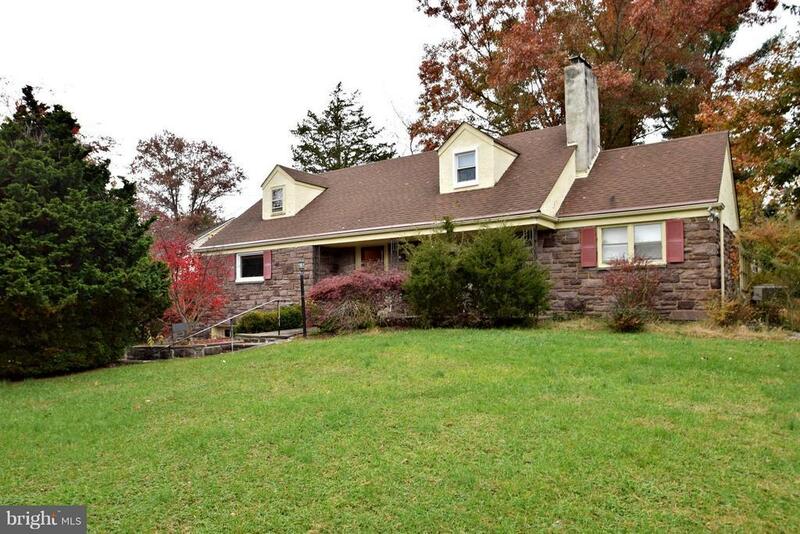 The location a short walk to the Delaware canal path, I 295 entrances and close proximity to regional centers in Newtown PA and Lawrenceville NJ. The Trenton Amtrak transit center is only 13 minutes from the house for easy commuting to NYC and Philly. Elementary School: Francis Lore E.s. Middle School: Gilmore J. Fisher M.s. Directions: River Road Rt 29 north from I-295 Exit 70 to Mt. View Rd. to Edwards.